D.C. Health Insurance Insider: "The positive feeling in Washington right now is like nothing I've seen in the 15 years I've been going..." We discuss the items Trump plans to tackle and how it might look later this month in the roll-out based on what the closed door meetings have been discussing. Auerbach & Gussin is an insurance agency specializing in group & individual health, disability, life & long-term care insurance products along with ancillary plans that compliment them. 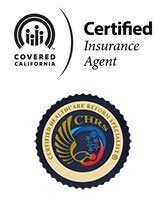 We will work with you, your family and/or your business to create a program to meet your particular needs for your medical, dental, vision, disability, life insurance or group health insurance. At Auerbach & Gussin we can provide simple & cost effective plans that meet your specific insurance objectives. We will help you through the whole process including applying online for quality medical plans from major insurance providers and our team will educate you regarding what is available and best for your health insurance options. Insurance. Simplified. We provide our insurance services at no cost to you, with no broker fees and regardless of the plan you purchase, we take care of everything for you so your experience is painless and simple. We want you happy!! We have been proud to serve the health, life and disability insurance industry as a board member and president of the San Diego chapter (SDAHU & NAIFA) along with being a board member and past president of the international disability insurance society (IDIS). Learn more about Auerbach & Gussin insurance services. Have Your Health Insurance Rates Gone Up?…… Call Us, We Can Help! You Need to know about Health Insurance when you are Retiring. Welcome to your Health Care Reform Resource This page has been created for everyone who is concerned about the up and coming changes that will occur in your health care insurance coverage. Health care as we have known it is being drastically changed by state and federal legislation. Our purpose is to make you aware of the changes & of their effects on your future health.